Embroidered border patterns by Textiles Critic Michael Savoia draw inspiration from design details in NYC’s Grand Central Station. 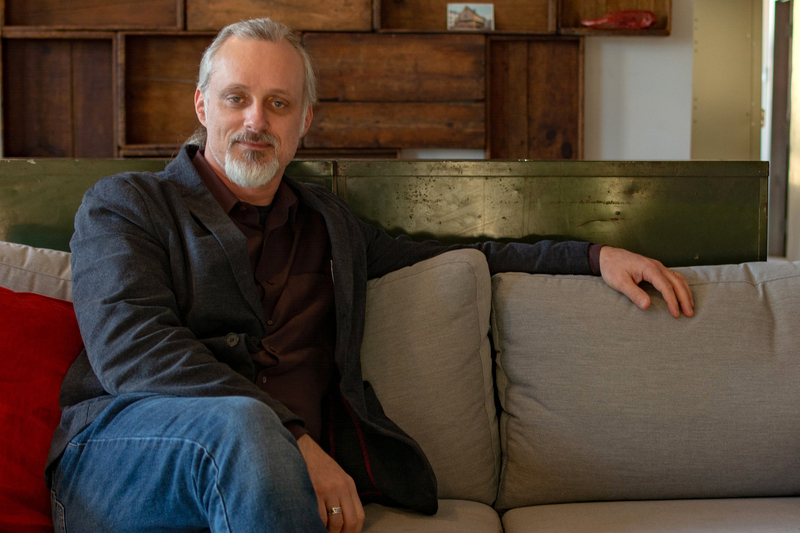 The nonprofit DESIGNxRI has selected four members of the RISD community for its 2019 Providence Design Catalyst program. Launched in 2015, the program is funded through federal Community Development Block Grants and helps emerging entrepreneurs in the city through grant funding, business training and mentorship. Savoia's extraordinary embroidery shop is among nine local businesses to win a 2019 Providence Design Catalyst award. Many of those world-class talents graduated from RISD or teach here. Among this year’s winners is custom embroidery company Villa Savoia, a one-man shop run by Textiles faculty member Michael Savoia. 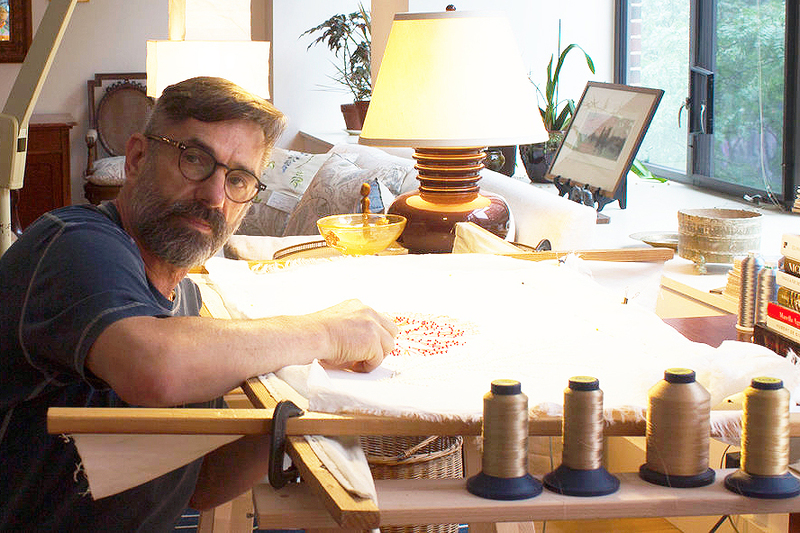 He has been embroidering fabrics for the nation’s top interior designers for more than 20 years, offering stock and custom embroidery designs as well as a collection of fine linens, wools, prints and pillows. “I’ve found great inspiration in my travels,” says Savoia, “and in textiles that reflect different times and places in history.” Several of his popular border patterns are inspired by the grillwork, crown molding and other design details at Grand Central Station in New York City. Like Savoia, designers Manan Narang MFA 18 FD and Urvi Sharma 17 FD—whose multidisciplinary studio INDO has also been selected for the Catalyst program—create designs inspired by place and culture. They both grew up in New Delhi, India and met half a world away when they were majoring in Furniture Design at RISD—Sharma as an undergraduate and Narang as a grad student. “We like to experiment with traditional craft processes and combine them with modern manufacturing methods to create contemporary objects,” the business partners note. Case in point: the Roorkhee Chair. Made of European beech, vegetable-tanned leather and oxidized steel hardware, the chair harks back to the original form developed by British colonials in India and redesigned in 1933 by Danish furniture designer Kaare Klint, who christened it the Safari Chair. 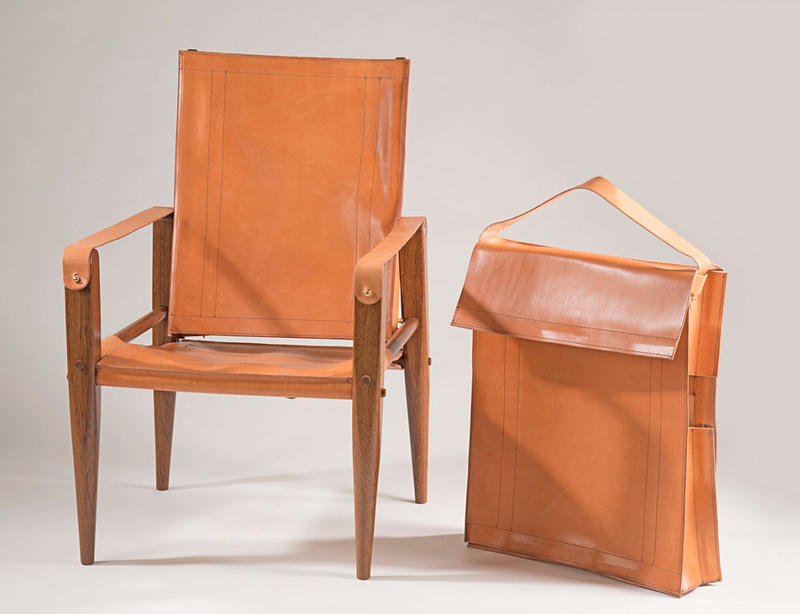 INDO’s version is more of a fashion statement—a tote bag that references the classic chair. Justin Kerr 90 GD has also earned a Design Catalyst award in support of the design business he launched in 2016. With a growing client base and a podcast about Marketing Essentials, JKD focuses on identity design, art direction and web and user interface design projects. Kerr collaborated on an elegant visual system for Merge Records. As the creative director at Lotuff Leather, Lindy McDonough 08 ID is helping to establish the company’s growing reputation as a leader in luxury leather goods. Landscape Architecture alumni Siyi He MLA 17 and Yixin Ren MLA 17 are awarded a $20,000 prize for their proposed mixed-income housing complex incorporating multiple community gardens. Through their softgoods company eqpd, Jonathan Baker 97 ID and Sean Donovan 94 IL are designing socially conscious products and business models.